- Designing and Implementation of Costing System. - Cost Audit Under section 233B of the Companies Act, 1956. - Maintenance of Cost Records and Compliance Certificate. With the support of a highly abled and expert team of professionals, we have been offering an impeccable series of Budget Costing Service. These services come at a very convenient rate which are payable via suited and affordable payment modes. Moreover our company presents these services in within the stipulated time frame and as per the convenience of our customers. 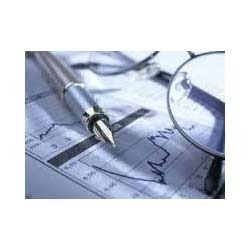 We prepare cost accounting records - as required under various laws and Cost Accounting Record Rules - of various companies. Preparation of cost accounting records is a highly technical work that can't be done by an accountant handling general accounting work. Most of the companies outsource this function. - Design & implement a detailed cost & management accounting system in line with cost accounting standard. - Maintenance of cost accounting records as per the requirement of the cost accounting rules. - Carrying out the statutory cost audit as per the provisions of the companies act, 1956. - Certification of (CAS-4) Internal Consumption. Outsourced Cost Accounting Services for small and medium businesses.